Jessica Berrones was driving near the Magic Castle’s driveway in Hollywood while traveling west on Franklin as she approached Orange on Feb. 28, 2014. Hailey Andrews was stopped in the opposite left-turn lane and was waiting to turn left into the driveway to Magic Castle. As Berrones entered the intersection, Andrews turned left and collided with her. Andrews was driving a car that was owned by AndrewsAG Inc. at the time of the accident. Berrones suffered disc herniations at the C4-C5 and C5-C6 areas that required fusions. She filed a lawsuit against Andrews and AndrewsAG Inc., alleging negligence. 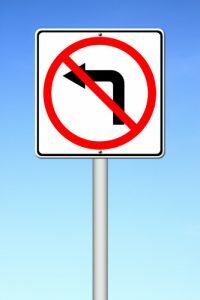 The plaintiff argued that Andrews was required to yield to oncoming traffic when preparing to turn left under California Vehicle Code § 21801(a) but failed to do so. She also argued that Andrews actions resulted in all of the injuries that she suffered, including the disc herniations. Finally, she argued that she first underwent a conservative treatment course before she received spinal fusion surgeries. The defendant argued that she was not at fault in the accident because the plaintiff was driving faster than the speed limit when the accident happened. The defendant argued that if the plaintiff had been traveling at the posted speed, she would have had time to slow down and stop in order to avoid the crash. The defendant also disputed that the plaintiff was injured. She instead claimed that the plaintiff would have received at most a sprain or strain injury. She also disputed that the plaintiff’s disc herniations were caused by the accident and instead argued that they were caused by a fall that occurred a year after the wreck. Finally, the defendant argued that the plaintiff’s medical bills were unreasonable and should have been $21,371.17 instead of the lien amount of $336,594.04 that was billed. Before trial, the plaintiff submitted a §998 demand: in the amount of $600,000 to Hailey Andrews and of $15,000 to AndrewsAG, Inc. AndrewsAG accepted the plaintiff’s $15,000 offer. The defendant submitted a §998 offer in the amount of $300,000. The plaintiff’s final demand before trial was $595,000. The defendant did not respond to the plaintiff’s final demand. Since the sides were unable to reach an agreement, they proceeded to trial before a jury. The trial lasted for five days before both sides rested and sent the case to the jury for deliberation. At trial, the plaintiff called a medical expert in spinal surgery and a technical expert in vocational rehabilitation. The defendant called a medical expert in neurology and a BSN as a technical expert. The jury deliberated for five hours before returning a verdict in favor of the plaintiff. The gross verdict was $872,691.09 for the plaintiff against the defendant driver. Since the jury did not find that the plaintiff had any comparative negligence, she was able to receive the entire award amount. Out of the award, $327,691.09 was for the plaintiff’s economic damages, and $545,000 was for her noneconomic losses. In most left-hand turn accidents, the driver who is making the left turn is normally found to be at fault for the accidents. This is because drivers who are making left turns are required by law to yield to oncoming traffic. When there is a statutory violation that leads to an accident, the violation may be used as evidence that the driver was negligent. In this case, Andrews failed to yield to Berrones’ oncoming vehicle and collided with her. While she argued that Berrones would have had time to stop to avoid the accident if she had been observing the speed limit, Andrews and not Beronnes was the person who had the duty to yield. Another interesting part of this case is the argument that Andrews raised that the injuries Berrones suffered happened in a fall that occurred a year after the accident. This is a very common tactic that insurance companies use in an effort to reduce the amounts that they might be forced to pay. When people have accidents and are injured, getting prompt medical attention can help to show a causal link between the accident and the injuries that resulted from it. Insurance companies often will ask injured victims to sign authorizations that would allow the companies to have access to the medical records of the victims. People should avoid signing authorizations without talking to an experienced personal injury attorney. Insurance companies use these authorizations so that they can pore over the victims’ medical histories to try to find another incident on which they can blame the injuries. Being seriously injured in an accident that was caused by someone turning left into your vehicle can be devastating. If you have been injured in this type of accident, getting help from an experienced personal injury lawyer in Los Angeles may help you to recover compensation for your losses. Contact the law office of Steven M. Sweat to schedule your free consultation.